Wicked – Jersey Boys – Mary Poppins – Chicago – Les Miserables. Any fan of the theatre will instantly recognize the shows above, and can probably sin g one or more songs from each of them. These marvelous musicals, along with more than a dozen others, provide the inspiration and music for Broadway: Now & Forever, our grand-scale Original Show for 2013. Broadway “Now” will highlight the blockbuster shows of “today,” showcasing recent and current running Broadway hits. Broadway “Forever” will take the audience on a journey of timeless classics. Most of our cast has been assembled, and will begin rehearsals soon. In the coming weeks we’ll launch our Broadway: Now & Forever web pages where you can meet these talented performers, and also get more information about the show. 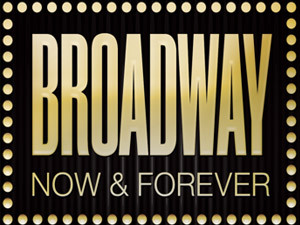 Broadway: Now & Forever opens April 16 and runs through October 12. Make plans now to join us for some of the most memorable musical moments from many of Broadway’s finest shows. Purchase tickets here.